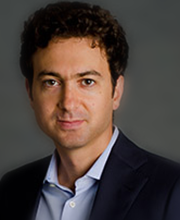 Jacopo Ponticelli is an Associate Professor of Finance at the Northwestern University Kellogg School of Management. He is an applied economist that primarily studies corporate finance and development economics. His research interests include law and finance, financial development, and economic growth. His work has been published in the American Economic Review and the Quarterly Journal of Economics. Before joining Kellogg School of Management, he served as an Assistant Professor of Finance and Cohen and Keenoy Scholar at the University of Chicago Booth School of Business. Professor Ponticelli holds a PhD in Economics from the Universitat Pompeu Fabra (Spain) and a BA from the Catholic University of Milan (Italy).